To make Parking, Valet Services, Toll Gates and Community Gates Entry & Exit seamless and secure. WePark will facilitate individuals to pay and avail Parking, Valet Services, Toll Gates. At WePark we are always telling people to "Park Hassle Free". What does that have to do with parking anyway? We know parking is a huge pain. We know you are not jumping for joy at the thought of parking. However, we know that getting to a meeting in Delhi NCR on time and stress free does make people happy, so does getting to a long anticipated concert knowing you have a place to put your car. Happy parkings are sometimes big and sometimes they are small, anyway we want to help you locate it - this is what WePark is all about. Based in New Delhi, WePark is going to be a leading provider of real-time and static on-street and off-street parking data to people of Delhi NCR and parking operators. Founded by Mr. Kamal Kumar and Kanav Madnani, WePark's mission is to make parking and Toll payments ticketfree and cashless. 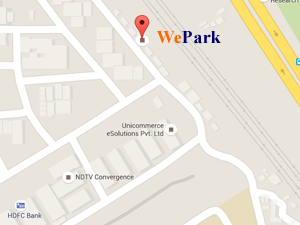 WePark also provides the option for valet park if desired by App users. You will not be charged any additional fees, taxes or surcharges when you arrive. Earn points with each Parking / Toll. Your parking area is guaranteed to be ticketfree and cashless.